Buying a home is a big step for a lot of individuals, couples and families. However, rising household debt in Australia indicates that many home buyers are jumping into home ownership before they can really afford it. Why do a need to buy a home? Buying a house for the wrong reasons can be disastrous. Thus, the first question to ask yourself before buying a home is WHY. Identify the need for you to buy a home in the first place and then ask yourself why you want to buy this particular one. If you need a stable place to live, a bigger place to accommodate your growing family or want to move into a better neighbourhood – then you have a good foundation reason to buy a house. However, if your answer is no - look into other options available instead of buying a home. E.g. Moving in with your partner, living at your parent’s house, home-sharing or renting. 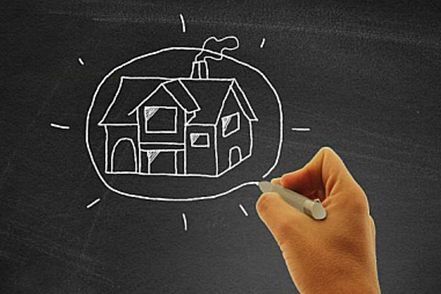 Do you have enough down payment to satisfy your initial home loan? Is your job/career stable enough to commit to years and years of mortgage repayments? If you’re buying a house with a partner – are they someone you can depend on? In the case of an unfortunate circumstance such as a job loss or a divorce, will you still have enough saved up to commit to your mortgage repayments? What are the hidden expenses? Home Insurance – Home insurance is essential to cover your safety you and your property the case of any unforeseen circumstances. As the cost will vary from homeowner to homeowner it’s important to get a few different quotes before purchasing your home. Stamp Duty – The cost of stamp duty to transfer the property into your name can be hefty and should be factored into your initial house cost. Amenities – The electricity, gas and water bills may vary in your new home compared to where you currently live, so it’s important to factor this into your monthly budget. Renovation – Will you need to renovate any rooms or features in your new home? How long will you need to pay off this new House? With household debt steadily rising in Australia, it’s important to carefully consider how long it will take you to pay off a potential home loan. To properly answer this question you will need to understand both your current and future income and spending habits. It’s a great idea to set a period e.g. 20 years by which you would like to pay off your debt by and work towards achieving it. Before applying for any home loan we recommended you speak to a debt professional to understand your ability and options of paying off a loan. Call Debt Fix on 1300 332 834 or leave an enquiry for more information.